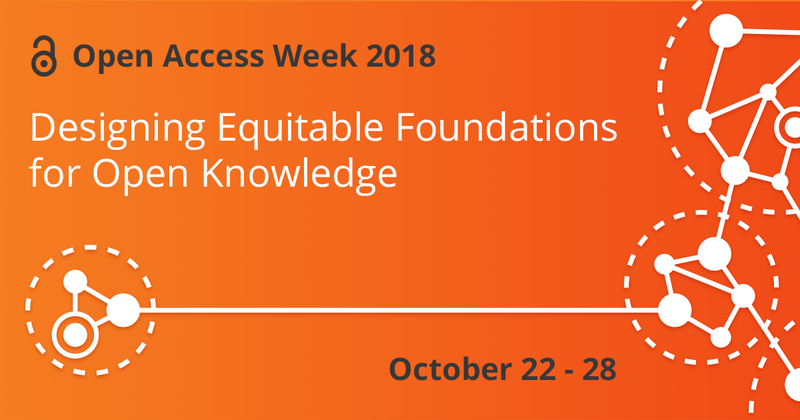 Open Access Week 2018 arrives October 22nd with a challenge to stakeholders in the scholarly system to be intentional about designing systems for open access that are “inclusive, equitable, and truly serve the needs of a diverse global community.” As articulated in ATLA’s core values, we strive to promote hospitality, inclusion, and diversity, and these values inform the decisions we make in creating a worldwide hub of scholarly communication in religion and theology. The work of the newly formed International Theological Education Task Force (ITLETF) reflects this year’s Open Access Week theme. Recognizing the need in the majority world and elsewhere around the globe for resources related to the profession of theological librarianship, the ITLET has assembled an international cadre of authors to produce a series of handbooks that will be published open access through the ATLA Press. These handbooks will provide education and tools for library staff who work in theological libraries around the world but for reasons legal, economic, and otherwise cannot access formal library education. These handbooks will not only be available freely online but will also be made available in other languages representing the intended global audience. The charge of this year’s theme also asks us to assess whether our systems are exclusionary or recreate or reinforce historical bias. During upcoming meetings of the editorial members of our open access publishing program, we will reflect upon the Library Publishing Coalition’s recently released Ethical Framework for Library Publishing. Major themes of the Framework include accessibility as well as diversity and inclusion. We will consider the guidance and resources outlined therein and craft a strategy to ensure that our policies, workflows, and scholarly output reflect not only the Framework’s recommendations but also ATLA’s larger core values. Finally, in furtherance of the commitment to employing low-cost, open source technology that promotes accessibility, collaboration and global participation in the production of open access scholarship pertinent to theological librarianship, ATLA recently partnered with Coko Foundation to incorporate its web-based authoring and editing tool Editoria into the publishing workflow of the ATLA Press open monographs program. We intend to use Editoria not only for the ITLET handbooks but other forthcoming books published through ATLA Press. As always, I welcome your feedback and comments on the scholarly communication and open access initiatives of ATLA. I also hope that you will share with us any plans you have to commemorate Open Access Week at your libraries.